Saliva drug testing is a very common drug testing technique. It's easier to administer, and does not require much preparation. A cotton swab is all that's needed to perform this test, and it will be able to detect the drug and its metabolites. Like with urine drug testing, the result from this test can be acquired in just a matter of minutes. The saliva will be collected using a cotton swab, and it only takes a minute for the entire process. But unlike the other drug testing methods, a saliva drug test is the easiest to trick since the detection times of the drugs are shorter in saliva. If you haven't used drugs in at least 7 days, there's a chance that you will pass the drug test. How can you know if you will pass the saliva test? The answer is simple! It’s by doing the test yourself. 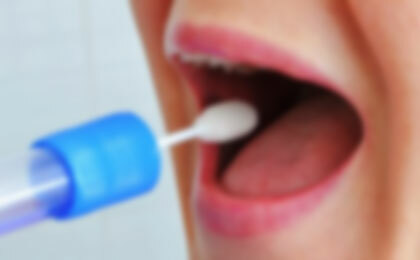 You can do your own saliva test with our ORALEART SALIVA DRUG TEST. The best part about the kit is you don’t need to be trained to perform the test. If you failed on the test you just performed, then it’s time to use products to change the result to negative. A simple product such as our detox mouthwash will do the trick for you. Our SALIVA DETOX MOUTHWASH can do what an ordinary mouthwash can’t, which is to free your mouth from toxins produced by the drug ingested. If in the event that you can’t get your hands on our detox mouthwash, you may choose to get our POWER FLUSH DETOX TEA. It’s also a detox product that effectively works within the day and gives you a window of 5 hours to pass the test. If you’re not a huge fan of same-day detox products, perhaps you can rely on our 7 DAY BODY CLEANSER. If used consistently for a week, this cleanser has the power to permanently cleanse your system including your saliva. You won’t be able to find detox products as effective and reliable as the ones we’re offering. Each of them has been tested in different ways to ensure that they give the best results you desire.